In any commercial kitchen, proper dishwashing is very important. When done correctly, this process ensures a continuous workflow inside the kitchen and promotes safe food handling practices. When the dish room is running smoothly, productivity is increased as this allows the kitchen staff to focus on other important tasks. 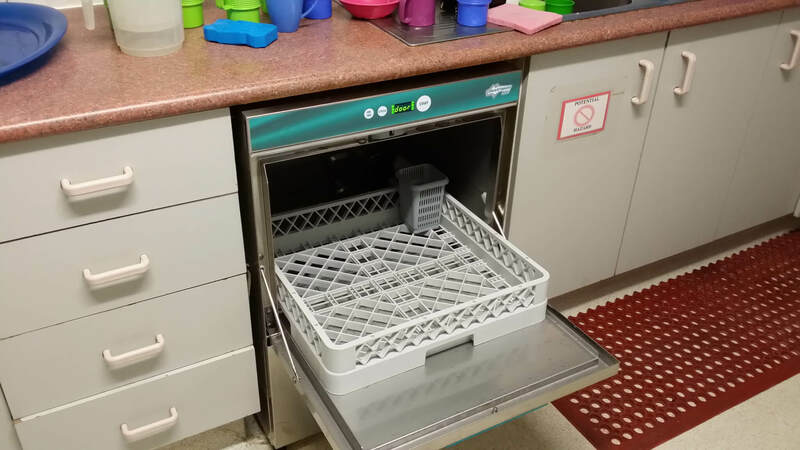 Commercial dishwashers streamline the dishwashing process by cleaning a ton of dishes in a quick and efficient manner. Heavily soiled dishes should be scraped first before placing it inside the dishwasher. This can be done by placing the dishes under running water to remove stuck food particles. Scraping your dishes provides better cleaning results and reduces the chances of a re-wash after a cycle. This can also help conserve water and energy since you don’t need to run a power cycle just to remove the food bits. This process also keeps your dishwasher clean for longer which is the next step we’re going to discuss. Commercial dishwashers go through plenty of abuse every day. Gunk and grime buildup can quickly accumulate inside the dishwasher in just a short amount of time. Food particles can get stuck on the wash arms which can compromise the dishwasher’s cleaning abilities. Make sure to give it a thorough clean by using a warm soap and water to dislodge stuck food bits. Daily dishwasher cleaning also prevents contamination risks and foul odours. Cleaning your dishwasher prepares it for the heavy dishwashing load the next day so make sure to clean it daily for optimal cleaning results. Know the exact capacity of the dishwasher. While commercial dishwashers are built for heavy usage, that doesn’t mean you can shove all of your soiled dishes inside it. 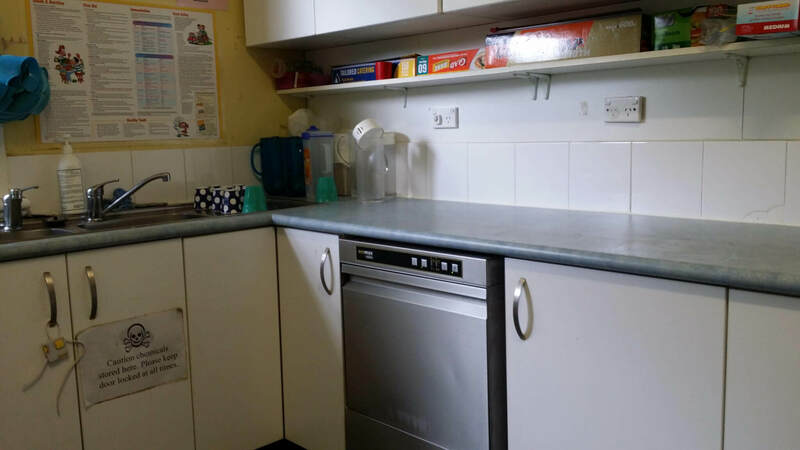 Dishwashers can hold up to a certain capacity before its cleaning efficiency is compromised. Make sure to check the manufacturer specifications to find out how many place settings your dishwasher can hold. It’s best to wash the rest of the dishes by hand while the dishwasher is working. 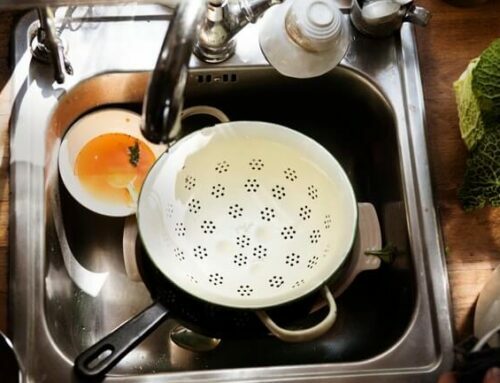 This way you can clean more dishes in a short amount of time. It’s not a good idea to overcrowd the dishwasher so make sure to check its exact capacity. 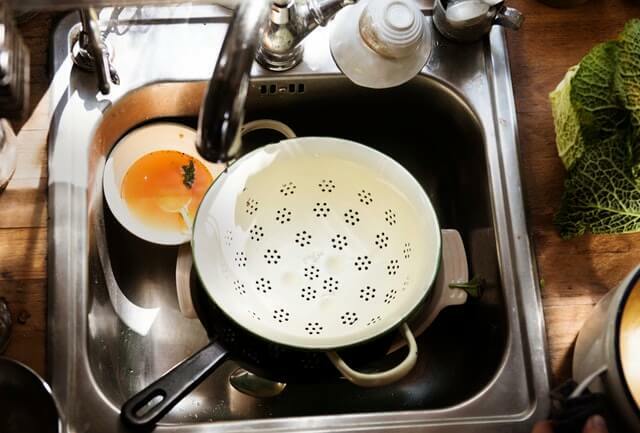 All cleaned dishes should be left to air dry after being washed and sanitized. Never wipe down a dish dry with a cloth and avoid stacking them together while it’s still wet. The last thing you want is to introduce a source of contamination after sanitizing it. To help speed up the process, make sure your water rinse temperature is correct. It is imperative to ensure rinse arms are not blocked and you have checked the rinse aid container. This will ensure that you don’t have to wait as long before your dishes are ready for use. Place sharp items like forks and knives with the sharp ends down inside the cutlery basket. This prevents injury when taking out the utensils from the dishwasher. Gently place glassware to avoid chipping or breaking. Make sure the dishes don’t rattle against each other during the wash cycle. Chipped or broken glassware can cut or pierce your skin so be careful when placing glassware inside the dishwasher. When cleaning the dishwasher, allow it to cool first before attempting to drain the dishwasher. Sometimes the water can still be hot which can cause burns. Always close the dishwasher door after loading or unloading to prevent people from tripping over. Store dishwashing detergent and other cleaning chemicals away from food or other ingredients. Read the owner’s manual to know how to properly use the dishwasher’s modes and features. Avoid mixing dishwashing detergent with other cleaning chemicals as this may result in harmful fumes that could cause respiratory problems. Always store dishwashing detergent in its original container. Never reuse the container with the label still intact. Make regular checks on the plugs and sockets for burn marks. If it’s too hot to touch during use, call a qualified technician to conduct repairs. Inspect the dish racks for wear and tear. If there’s cracking or chipping in the paint, it’s best to replace it with new ones to hold your dishes better. Food sanitation should be an utmost priority for commercial kitchens and it all starts with how you clean your dishes. This can be achieved by practicing dishwasher safety along with proper dishwashing. Make sure to follow these tips to make your dish room safer and more efficient. 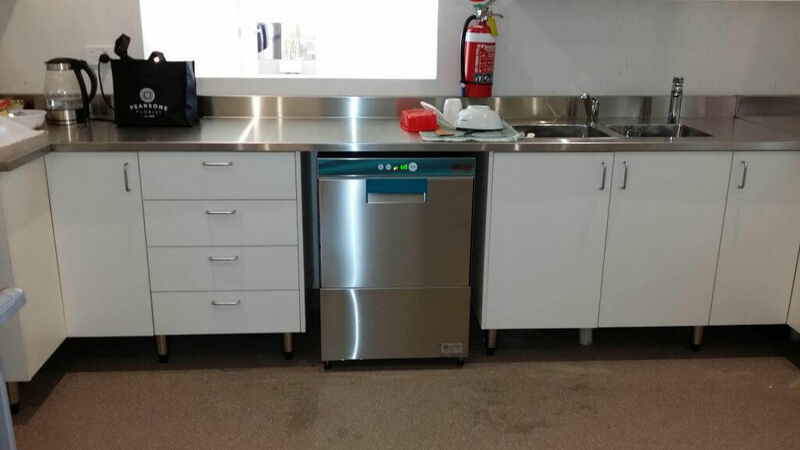 Warewashing Solutions offers a full range of information & operational procedures for your dishwasher as well as specially formulated detergents and chemicals for use with your commercial dishwasher.